SPRING INTO 2018 WITH A REAL LOG HOME SAVINGS! Home→Log Homes→SPRING INTO 2018 WITH A REAL LOG HOME SAVINGS! 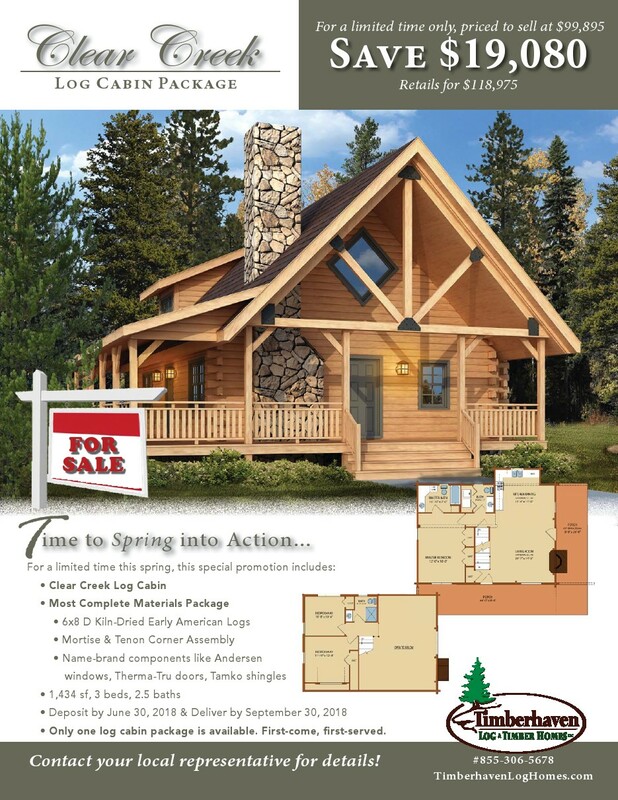 Well, Spring 2018 arrived on March 20th, and we are here to offer you a fantastic deal on a log home! The Clear Creek model is one of our most popular homes and sits well in any setting. Even better, you could save $19,080 by taking advantage of this first-come, first-served offer. So do not hesitate and contact us now to take advantage of this limited time offer before someone else does!